Is It a Trademark, Patent, or Copyright? A trademark is a brand for goods and services. A patent, on the other hand, protects inventions, like new engines or solar panels. And a copyright protects original artistic and literary works, like songs and movies and books. So, although all three of these here can be used together, they don’t protect the exact same things. For example, let’s say that Samsung has invented a new type of vacuum cleaner. Well, it might apply for a patent for the invention itself. It could also apply for a trademark for the brand name that’s used on the vacuum. And it might want to register a copyright for the TV commercial that it uses to market the product. So, those are three different types of protection for what are known as “intellectual” property. We’ve got brands, inventions, and original artistic works. Now, they’re all equally important and they all protect different parts of your intellectual property portfolio. If you already have an Internet domain name and a business name, do you need to worry about registering a trademark? Sometimes there’s a lot of confusion about this. Before we answer, let’s make sure we know, a domain name is a web address. It’s the wording that people type into the address bar of a web browser to go to your site. Or it could be the hyperlink that people click on to get to your site. Like FORWARDMARK.COM or USPTO.GOV. Having a web address doesn’t mean you automatically have trademark rights in that wording. In fact, if you register a domain name that includes the trademark of another party, you may have to surrender that domain name (oftent through a UDRP proceeding). So, a domain name registration does not equal a trademark registration. But sometimes, a domain name can function as a trademark, so long as it is used in a way that it identifies the source of particular goods and services. Let’s take a look at AMAZON.COM. You can see that AMAZON.COM is used as a web address. And it is also registered as a trademark for an online retail store. There is also a difference between a trademark and a business name. A business name is just that: it is simply the name under which you do business in a particular state or jurisdiction. If your state requires that your business name is registered with your specific state, I’m sure most of you have done so already. However, a business name registration with your state does not grant you trademark rights. It merely means that a particular state allows you to do business under that name. Just like a domain name, a business name can also be a trademark. It all depends on how you use it. 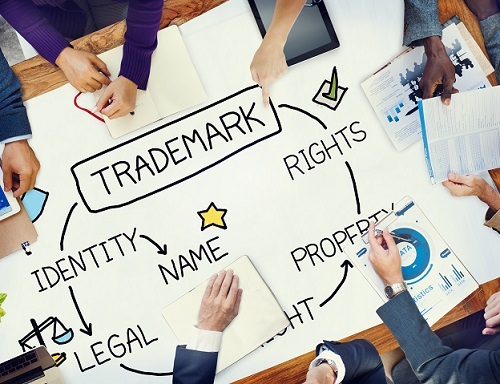 So, if you use your business name to identify the source of your goods and services and distinguish them from the goods and services of another, that’s trademark use.